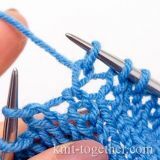 Knit Together | Crochet Circular Pattern #2. 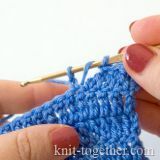 Photo, detailed description and crochet chart. 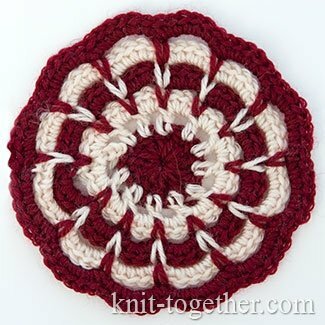 This motif is especially good, if crochet it with multi-colors yarn. 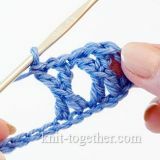 Using this crochet chart you can make a motif any size. 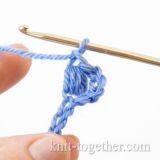 You can use it for decorate the clothes or as independent element: so you can crochet a oven glove, towel or even pad. 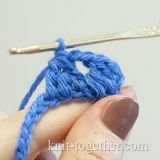 Start crocheting from the centre, from the initial ring. 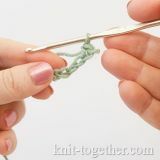 9 round (burgundy): 1 turning chain, * 6 single crochet in space of five chains of previous row * - repeat 12 times, join with slip stitch. 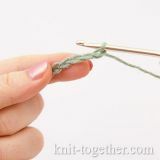 You can continue crocheting adhering to the principle: in each even row add 1 chain in each space, in each odd row add 1 single crochet in each space.